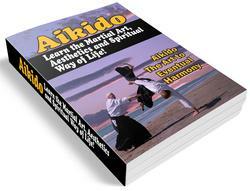 Aikido as an art is subject to a broad variety of interpretations and approaches. When you enroll in an Aikido school, it is not Aikido that you are studying but the particular undertanding of Aikido that is the vision of the instructors at that school. Paul Linden and Peggy Berger are the chief instructors at Aikido of Columbus. With their broad background in movement practice, Paul and Peggy bring to their Aikido instruction a deep understanding of the relationship of the biomechanical, philosophical, personal, spiritual and martial aspects of Aikido. Peggy Berger is a body/movement awareness educator and Aikidoist. She began her practice of Aikido in 1978 and holds a fourth degree black belt in Aikido, has her MS in Dance/Movement Therapy, and is certified as a Laban Movement Analyst, a Feldenkrais® instructor and a Being In Movement instructor. She uses Aikido defense techniques as experiential metaphors for examining reactions to life situations, opening to a larger sense of self, and creating new possibilities for emotional, physical and spiritual ways of being. Paul Linden is a body/movement awareness educator and martial artist. He has his BA in Philosophy, his PhD in Physical Education, is a certified Feldenkrais® instructor, and is the originator of Being In Movement® training. He began his practice of Aikido in 1969 and holds a fifth degree black belt in Aikido as well as a first degree black belt in Isshin Ryu Karate. Paul uses Aikido defense techniques as vehicles for developing awareness of and correcting imbalances in breathing, posture, and inner energy. 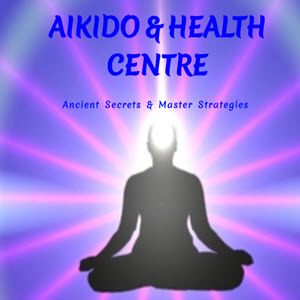 This process is a means of achieving a state of power and compassion, which leads to understanding of the practical effectiveness of Aikido as self-defense as well as the ability to live daily life with greater awareness and harmony.